Happy Thursday to all CryptoAMers. The markets are looking green, the weather is picking up, and I’m on my way back to visit DC for Passover. Things are looking up. Watch this one closely. 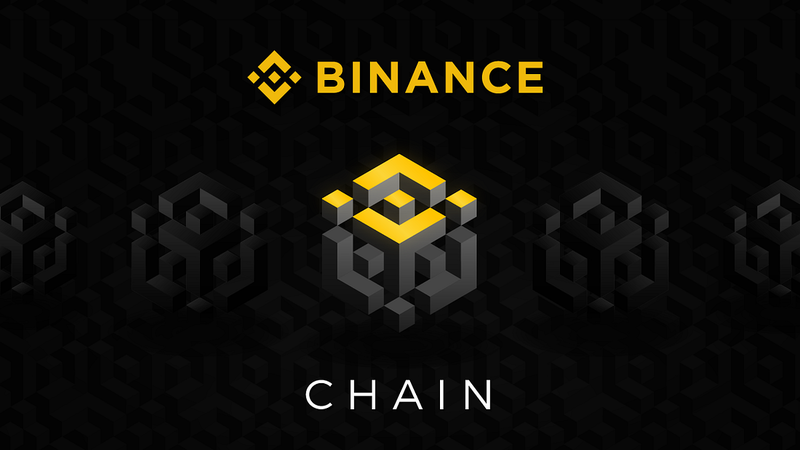 Binance today launched the main-net of its anticipated blockchain, Binance Chain. Binance Chain is custom built for decentralized exchanges (DEXs) with low latency and high throughput, making it an ideal protocol for decentralized applications that require high transaction capacity. It’s built using the Cosmos SDK, and is similar in many ways. Binance chain deploys a pre-selected number of validators to run the chain, and is not a fully decentralized protocol, which allows the throughput to be much higher. The implication here is clear - moving your project to Binance chain is in your best interest. It’s doubtful they would actually follow through on delisting solely due to not working on Binance chain (think of all the bad PR), but it presents an interesting show of power - you can imagine an application faced with this scenario and what their choices will be. It’s entirely possible though that they institute volume requirements for low cap coins on their exchange, and say that you either (1) need to maintain 1M volumes a day or (2) be a Binance Chain project. 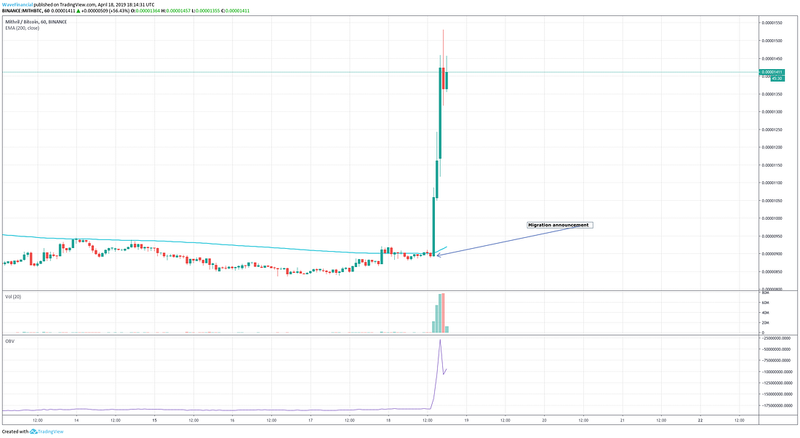 This move cements Binance as the most influential cryptocurrency exchange, and builds an ever larger moat around their operations. While many other exchanges can run IEOs, tokens, etc…it’s unlikely they will dedicate the manpower to building their own protocols. 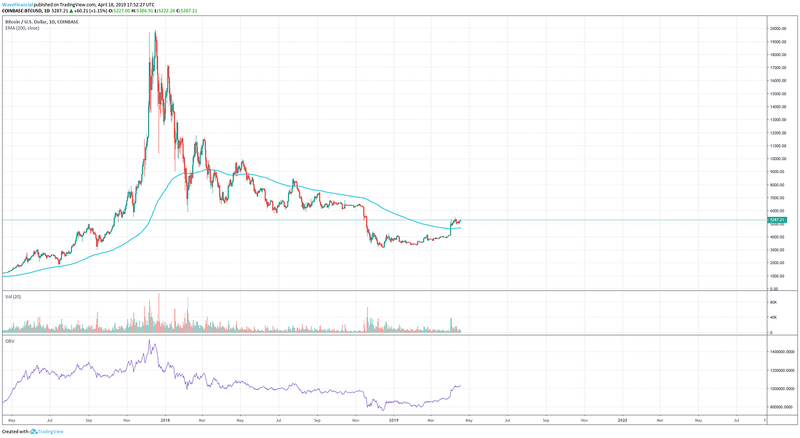 This has (rightfully) driven the price of BNB to almost all-time-highs, an impressive showing. The big picture: In addition to its own blockchain, Binance has long talked about its own decentralized exchange. This would obviously be disruptive to its current centralized exchange as it wouldn’t be able to extract high fees from users who would have custody over their own funds on a DEX. Using BNB as gas on Binance Chain and attracting projects to the Chain is a way to ensure consistent and high demand for BNB. As transactions and the number of projects looking to host ICOs on the Chain increase, the price of BNB will most likely increase also. CZ has proven himself to be incredibly innovative when it comes to creating value for BNB, and has built himself many levers that he can use to reverse any case of significant price depreciation. For those of you interested in a discussion about price action, check out the market outlook section below. 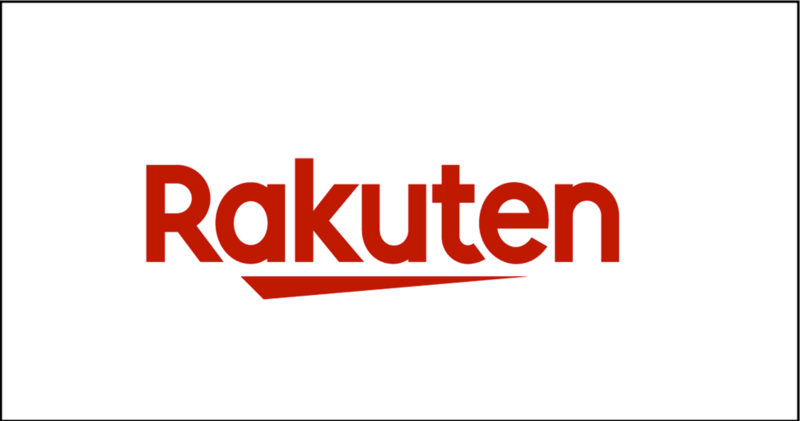 Rakuten opened up registrations yesterday for Rakuten Wallet, their native cryptocurrency exchange, taking a big step in the right direction for e-commerce cryptocurrency adoption. Rakuten Wallet was previously known as ‘Everybody’s Bitcoin’ and was acquired by Rakuten last August for a sum of $2.4M. For those unfamiliar, Rakuten is Japan’s answer to Amazon with about ~100M registered users on its ecommerce platform. Recently Rakuten has come under pressure from Amazon, and last year ceded the spot of #1 ecommerce platform in Japan to them. By introducing this cryptocurrency exchange, it’s clear that Rakuten believes cryptocurrency can be used as a potential revenue driver and customer acquisition tool for their business as a whole. The wallet will be integrated with their site, allowing consumers to both access and spend cryptocurrencies on the general Rakuten website. The past year has seen some of the most aggressive infrastructure growth the industry has ever witnessed. Combined with rising prices, a green YTD and renewed attention, all signs are pointing positive. 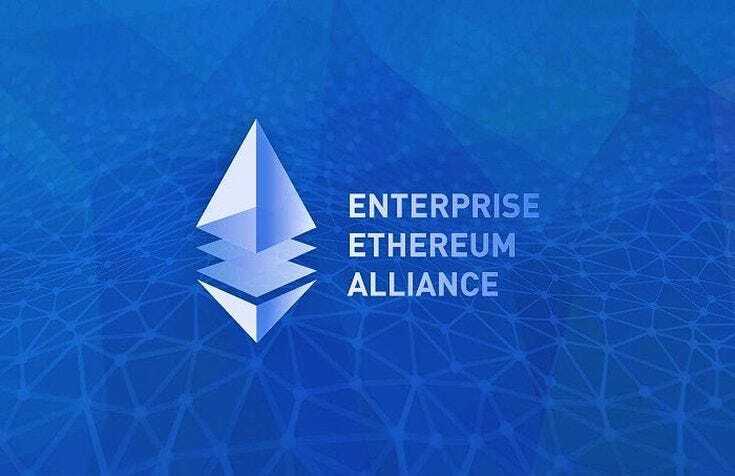 In an ironic twist to how much fluff had to be interpreted to write this story, the Ethereum Enterprise Alliance (EEA) yesterday announced the Token Taxonomy Initiative. The Initiative aims to make it easier for enterprises to understand how tokens can be used to improve their businesses, specify clear use cases where tokens can help, and help simplify deployment of tokens. Making tokens more interoperable across different blockchains is also a major focus. Github repositories with information about token implementations on blockchain networks. This last point is particularly interesting - it means you can take code from successful projects and adapt it to other potentially similar enterprise use cases instead of starting from scratch. To grow it’s important to maintain a unified voice. The Initiative stands alongside the Token Taxonomy Act in Congress and various other examples where industry players are banding together in the hope that their collective voice can help unlock new opportunities. Got a burning desire to help the EEA with this? Get in touch. 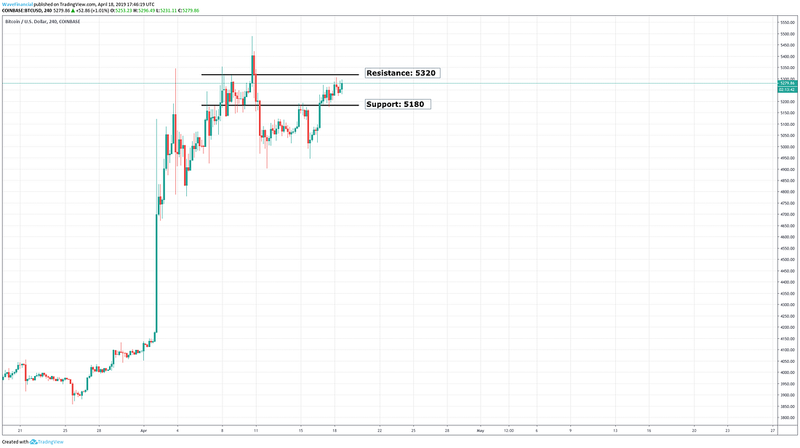 Direction: As expected, we broke above the trendline and once above 5100 we quickly traded up to the 5200 level. We are currently in a no-trade zone, our first in a while. Will be watching the support and resistance levels closely. From a longer term perspective, on balance volumes are picking up and are reaching levels we haven’t seen since May 2018. This is also the longest stretch of growing OBV since 2017, giving clear indication that there has been strong amounts of accumulation from the 3500-5000 level. Overall Market: I would be remiss if I didn’t mention the absurd price action coming out of Binance Coin today. The price action to me signals a few things, (1) news is beginning to drive markets again (a good sign) and (2) Binance has cemented itself as a leading exchange (3) coins that move to Binance chain will experience a price rise as people assume Binance will provide support to portfolio projects (4) there will be a deluge of low quality projects announcing intent to move to Binance Chain to take advantage of the price pump that comes along along with it. (4) is the most interesting point here in my opinion. It looks like Binance has bootstrapped a way to get developers by creating an environment where applications have the potential to add 15-30% to their market-cap just by switching over. 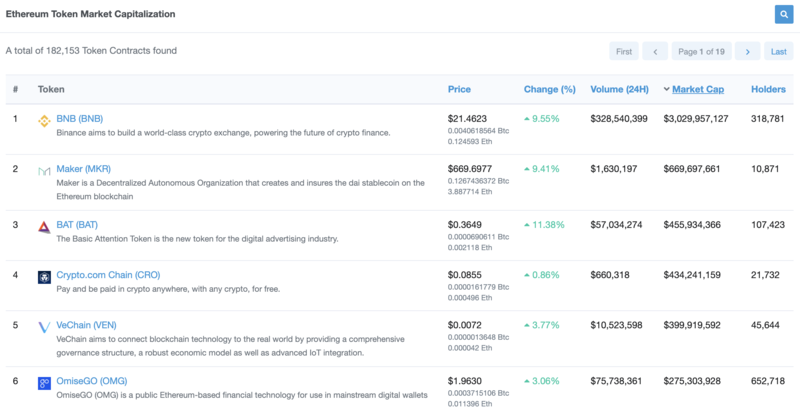 Take Mithril for example, who added 30% to their price after announcing the move over to Binance chain. In other news, the overall alt-coin market-cap is showing signs up life, with protocols such as Holochain and Tezos posting 10% gains. If you’re underweight in alts, it may be time to consider shifting over more of your portfolio to gain exposure. Altcoin volumes are trending up as well compared to Bitcoin volumes, another good sign. I wanted to highlight a timely piece written by my colleague Marc Weinstein about the importance of allocating funding to your ecosystem as a protocol. Today is an especially pertinent day to discuss ecosystem financing, because of the recent developments regarding Binance Chain and the now clear effects on your protocol that having an existing platform and userbase has. Today, only hour after launch, Binance already had a protocol migrate over to Binance Chain. For an up and coming protocol without previously existing base, how do you accomplish this? It’s essential that as a platform you actively find ways to court users and developers to your platform. For Binance, it’s easy because you have something projects want — a name to be associated with and a large user base. For other, more under the radar protocols, that becomes slightly more difficult. One of the growing ways that protocols are incentivizing developers to build on their platforms is through the setting up of venture funds to invest in projects that leverage the protocol in question (AKA, ecosystem financing). He also put together a fantastic google sheet that documents all the current ecosystem funds, and hopefully helps you find financing if you need it! Nothing written in CryptoAM is legal or investment advice and should not be taken as such. CryptoAM does not make any guarantee or other promise as to any results that may be obtained from using our content. No one should make any investment decision without first consulting his or her own financial advisor and conducting his or her own research and due diligence.